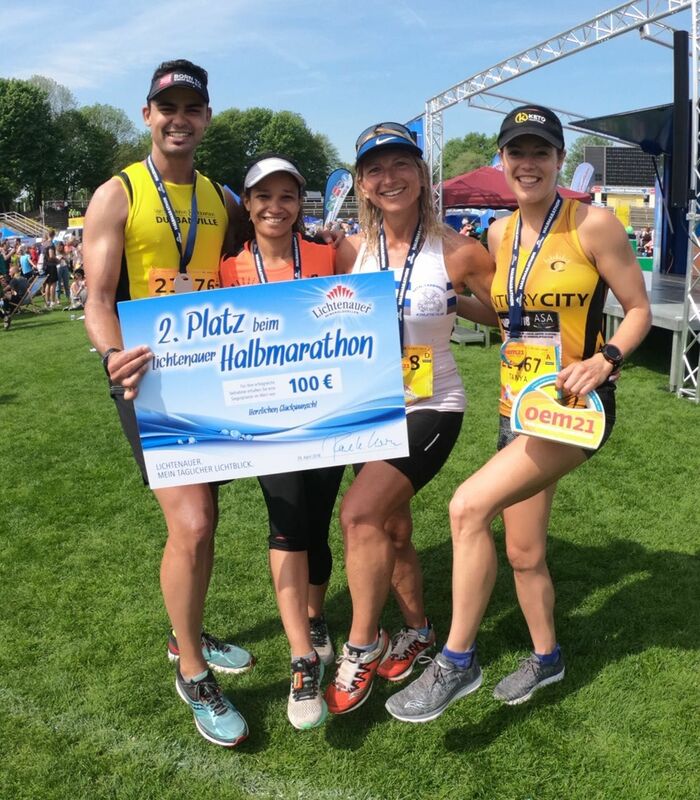 Century City’s star runner, Tanya Posthumus-Fox, ran three European races in three weeks coming second in the Oberelbe Half Marathon in Dresden Germany on April 29 with a time of 1 hour 29 minutes and 21 seconds. Tanya was in fact the first woman home in her age category for the race and the German newspaper Sachsischezeitung carried a picture and story on her. She also ran the Half Marathon in Belgrade Serbia on 21 April and was the sixth woman home and second in her age category with a time of 1:30:01. In fact she was placed 53rd overall in a field of 5124 runners. The third race she ran was the Prague 2Run Relay Marathon, (Half Marathon) on 6 May in a time of 1:31:38. She was the sixth woman on the 1st leg of the relay, the 1st in her age group and 20th overall. Tanya carried a huge cheque she was awarded for second place and a heavy sandstone trophy around from Germany to South Africa via the Czech Republic for two of the three week “runacation”. She says the heat in Europe (along with the late race starts) did generally impact her performances. There is no slowing Tanya down that she is back in South Africa.